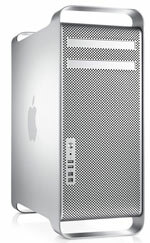 Apple 'Questioning' the Future of its Mac Pro Line? Late last week, we noted that with pricing information on Intel's upcoming Sandy Bridge E Xeon processors surfacing, Apple's options for a potential "Early 2012" Mac Pro have begun to clear up. The Mac Pro has not been updated since mid-2010, and delays in Intel's new chips have pushed their availability out from late this year to early next year. But despite the new processors now being in sight, AppleInsider reports that Apple is reportedly "questioning" the future of the Mac Pro line and whether it will even release updated models. The report's source indicates that with Intel's new Thunderbolt connectivity standard making its way across all of Apple's Mac products, those products now have enhanced flexibility to assume some of the tasks that have historically been handled the Mac Pro. Combined with a continuing shift towards notebooks that has seen the desktop share of Apple's Mac business fall from 70% ten years ago to under 30% today, the increasing power of Apple's other Macs has resulted in the Mac Pro becoming only a minor portion of Apple's product lineup. Speculation in the report suggests that Apple could elect to offer higher-end versions of its iMac or Mac mini models in an attempt to appease those buyers looking for the power of a Mac Pro. Those smaller form factor machines are, however, unable to match a number of the Mac Pro's other features, although Apple apparently believes that Thunderbolt could serve as a means to bring some of that expandability from the Mac Pro to other Macs. Would hate to see them discontinue the Mac Pro. Possibly the worst news after Steve's death. This isn't a rumor. It's pure speculation that has been beaten to death and beyond on the Mac Pro forum. It's gonna be expensive to add two thunderbolt graphics cards, 4 hard drives and 16 CPU's to a Mini. Every drive bay in my MacPro is used, and I do not want to have to house them all externally. No! Don't drop the Mac Pro line. I will be forced to buy a Windows Based machine if I want a tower that I can upgrade. For the sake of the small consumer base, upgrade parts, keep the design. Shouldn't cost you much. pssst... Apple, here's a hint. The reason the Mac Pro's are not selling well is because you need to update them. If Apple is questioning why the sales have dropped that would be down to lack of frequent updates!!!!! ? So will I have to settle for their currently 18 month old 12 core or are they going to stop ******** about and release a newer, up to date pro machine?? I mean if they want to make Pro iMacs with 12/16 core Xeons and room for multiple HDs and decent GFX cards and a LOT of RAM, then cool - means I get a decent LCD thrown in too instead of the overpriced standalones, but is that even realistic? 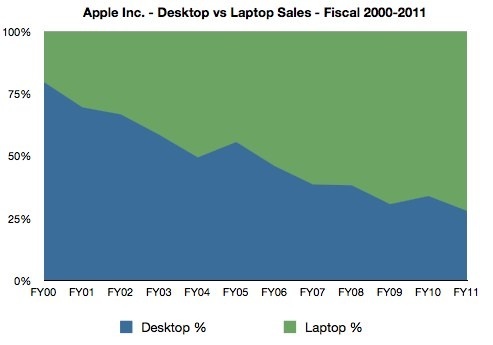 Why kill off the machine that ultimately made Apple a proper computer company in the first place? - do I really have to switch to a PC to get a proper computer now?